The issue of cleaning and oiling watches is a perennial one on most watch fora, the most frequently asked question being about service intervals. The general recommendation is that a vintage watch should be dis-assembled, cleaned and oiled every three to five years, depending on use. The reason for keeping a vintage movement well-serviced is simple. 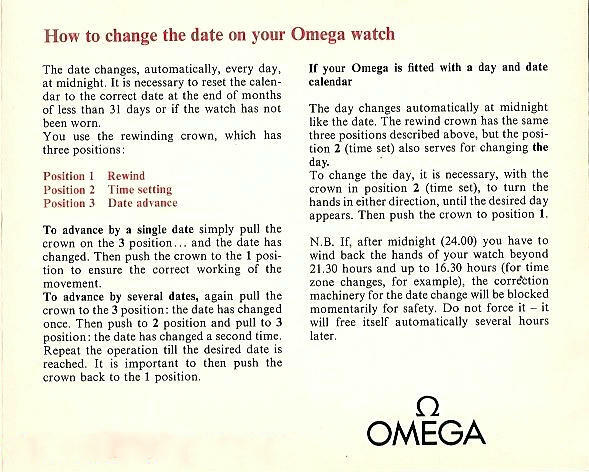 Regularly serviced watches, particularly with quality movements such as Omega vintage calibres, rarely ever wear out. For example, I have several family Omegas now more than 50 years old and they still retain all of their original movement parts. Crowns and crystals come and go, but a good service regime will protect your watch movement well into the next generation. Some collectors dis-assemble, clean and oil their own watches, after a long mentorship by a friendly watchmaker or a crash course through one of the on-line watch schools. I service the less valuable pieces in my collection, after having spent tens of hours practising on various Omega automatic calibre parts movements, but I wouldn't think of touching some of my more important pieces. For those I defer to the experts. If you own a vintage watch...or two...I recommend you get to know your way around the movement, not necessarily to service or repair them, but to understand their engineering, learn some of the diagnostic basics and know when to consult a watchmaker. 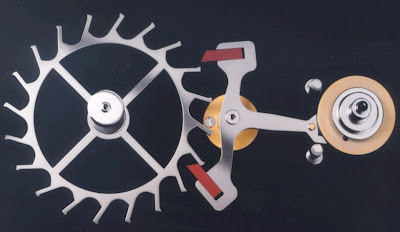 A good place to start to learn how a watch is serviced is this site maintained by the Carignan Watch Company of New Hampshire where there are comprehensive resources on cleaning and oiling watches. If you want to know the ins and outs of oiling a watch, click here for an excellent paper produced by the British Horological Institute.